Thirteen clinical centers across the U.S. are conducting a large-scale Fragile X clinical trial of Novartis AFQ056 (an mGluR5 antagonist) with children. 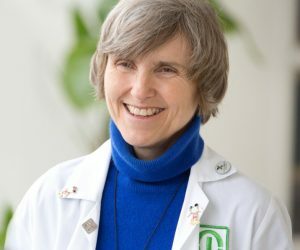 With funding from the National Institutes of Health through the NeuroNext network, Dr. Elizabeth Berry-Kravis and colleagues aim to show effects of a targeted treatment — the mGluR5 blocker for Fragile X that normalizes brain plasticity in Fragile X mice but failed in previous adult human trials — can be better evaluated by studying effects on learning in young children. In this study, 100 subjects with FXS, age 32 months to 6 years of age will enter a 12-month blinded treatment phase during which they are randomized to AFQ056 or placebo followed by an 8-month (open label) extension phase in which all participants will be treated with active drug. The purpose of this NeuroNEXT (Network for Excellence in Neuroscience Clinical Trials) study is to find out if the drug AFQ056, made by Novartis, is safe and has beneficial effects on language learning in children who have Fragile X syndrome (FXS). The study also aims to find out if a structured language intervention can help children with Fragile X syndrome communicate better. The phase II study is coordinated by NeuroNEXT, with support and funding from the National Institutes of Health (NIH). Dr. Elizabeth Berry-Kravis at Rush University is leading this national Fragile X clinical trial. Children’s National Medical Center – Washington D.C. Details about the clinical trial can be found on ClinicalTrials.gov. If all goes well with with this trial, the entire Fragile X field will have new tools for future trials of promising new drug treatments. For those who are curious, NeuroNext is an NINDS initiative that has an large amount of money and funds exploratory trials in neurological conditions. They awarded a whopping $11.5 million for this trial!